Hugues de Milleville had a killer product that could have been a run-away business success, but something was holding him back. The founder of Loretto, Ont.-based Log-One Ltd. has invented and patented a better thermostat — the fully automated system promises to use less power to provide the same levels of heating to the buildings where it’s installed. It promises companies to not only cut down on their greenhouse gas emissions, but also to save money. So you’d figure winning business should be a cinch. de Milleville has been selling his intelligent thermostat to schools since 1995, but with limited application. With a bit of rigging, Log-One’s thermostats are capable of being installed in a large building and automating its lighting, ventilation, heating and cooling systems. But de Milleville didn’t know how to properly market his product to the school boards to do that. Until he met his mentor at the Innovation Synergy Center in Markham Investment Network. John Mertle was a clean technology industry expert. He was familiar with the struggles start-up companies face in the industry and helped de Milleville master the business skills he needed to access a bigger market – report writing, applications completion, and in-person presentation skills. After giving de Milleville the skills to sell, Mertle endorsed Log-One and introduced its founder to the right people. Now de Milleville has won four new contracts totaling $1.7 million from the Ontario Ministry of Education to install his thermostat in eight schools for a pilot project. It’s a win the founder says he wouldn’t have achieved without help from the Investment Network mentor. The Investment Network program that helped de Milleville was launched in 2007. It has helped 28 companies since then, raising debt and equity financing totaling $7.4 million. 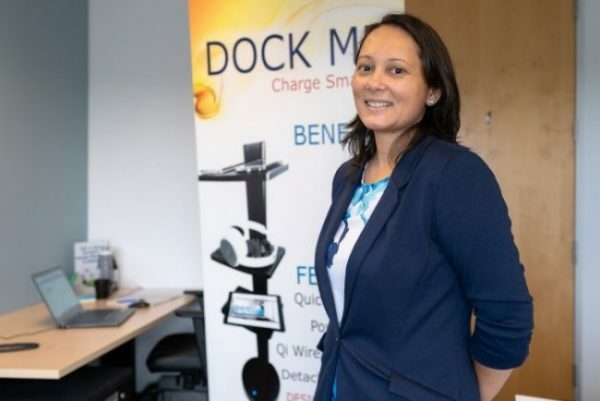 The program is funded by government dollars from the City of Markham, Government of Ontario, and the Government of Canada through the Innovation Synergy Centre. The main goal is to boost sales for these companies, says Catarina von Maydell, director of the program. The firm also had some proven results to rely on when it applied to be a part of the Ontario Ministry of Education’s Green Schools Pilot Initiatives. Log-One installed its thermostats to 21 portable classrooms at Toronto-based Dante Alighieri Academy in 2005. Over a seven month period, the automated system saved the school a total of almost $20,000, which more than covered the cost of installation. Now the Upper Canada District School Board, the Dufferin Peel Catholic School Board, the Niagara Catholic District School Board and the Toronto Catholic District School Board have received grants to install the automation technology in their main buildings. Upper Canada leads the project with $608,000 worth of funding. The school board stretches along the St. Lawrence River and two schools will be involved in the pilot project – Brockville Collegiate Institute and Merrickville Public School. Both schools have proactive staff and students when it comes to being green, says Peter Bosch, manager of design and construction with Upper Canada. Log-One’s thermostat accomplishes its energy savings with no sacrifice to comfort level, de Milleville says. Its intelligence knows the time of day from a local clock, and whether there are people in the room or not using a motion detector and a door sensor. Different from most other thermostats, this device constantly measures a room as its being heated – at a rate of once a minute – and adjusts the power needed accordingly. Overnight, the system will start heating up the room to the desired temperature. It starts by using half of the available power, and adjusts to use more or less power as time passes and the temperature changes. Most of the time, even half of the power available isn’t needed, de Milleville says. It’ll be a much needed overhaul to the older schools in Upper Canada district, Bosch says. Merrickville was built in the 1900s and has a pneumatic thermostat system that was likely installed more than 40 years ago. That’s why it’s a good test to see if Log-One will work elsewhere. Log-One does have some hurdles to clear before it gains wider interest from Ontario school boards, and elsewhere. The Ministry-funded pilot program requires that all installations be completed by August. Also, the various thermostats in a larger building must be networked together to work in cohesion. This hasn’t been done by Log-One before, and the firm must adapt its product work with the school’s BACnet automation system. “It’s challenging to accomplish, it’s not done yet,” de Milleville says. After the installations are done, there will be a year of monitoring to see what sort of energy savings and cost savings are achieved. But Log-One’s founder is confident in the project and anticipates it will position his company as an international competitor – opening up opportunities to a lucrative U.S. market. “That market is already 10 times bigger (than Canada’s) and people make decisions a lot faster,” de Milleville says. If the pilot project goes as well as he hopes, there may be nothing holding de Milleville back. Follow Brian Jackson on Twitter.